Future Landscape of Dairy Processing Information Day took place at the Midlands Park Hotel, Portlaoise on 23 May . The event was a first step in the process that will ultimately identify themes and areas of research that DPTC will engage in beyond 2019 (DPTC Phase II). 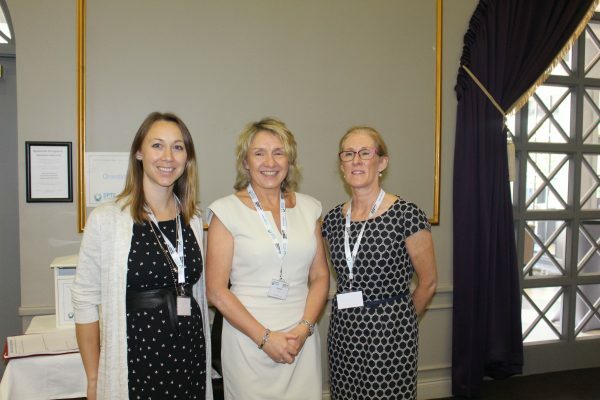 Pictured are DPTC team members; Dr Abigail Pattenden, Orla Kelly and Mary Frost.